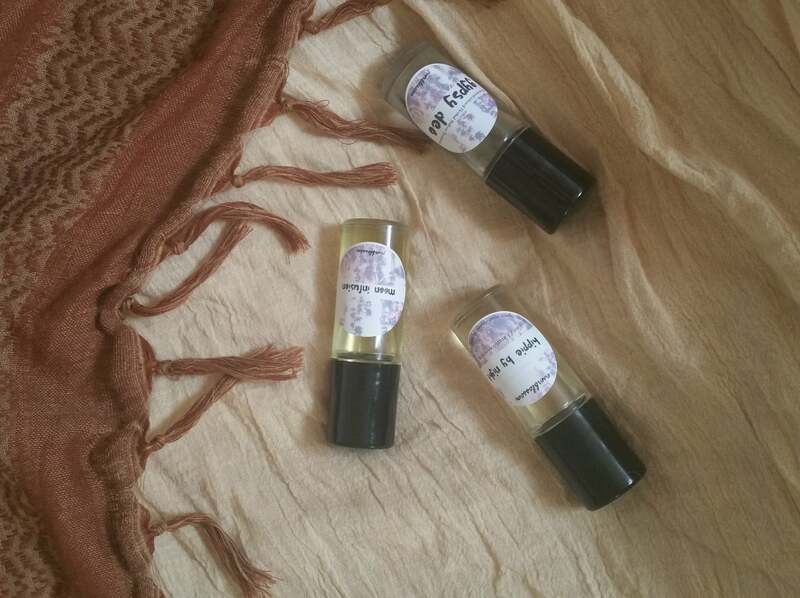 The first time I opened up shop on Etsy (circa 2010) selling handmade perfumes and beauty products, I floundered. I didn't have the space I needed to create wonderful items. I didn't have enough money to get good quality labels. I was passionate and eager to succeed… I just wasn't ready. Having my own line of natural products to offer here on Everblossom has blessed me in so many ways! I absolutely *love* coming up with new product and packaging ideas. I get to hear great feedback from the babes who buy my products. And of course, I get to watch my business grow every month in ways that I wouldn't have dreamed a few years ago. 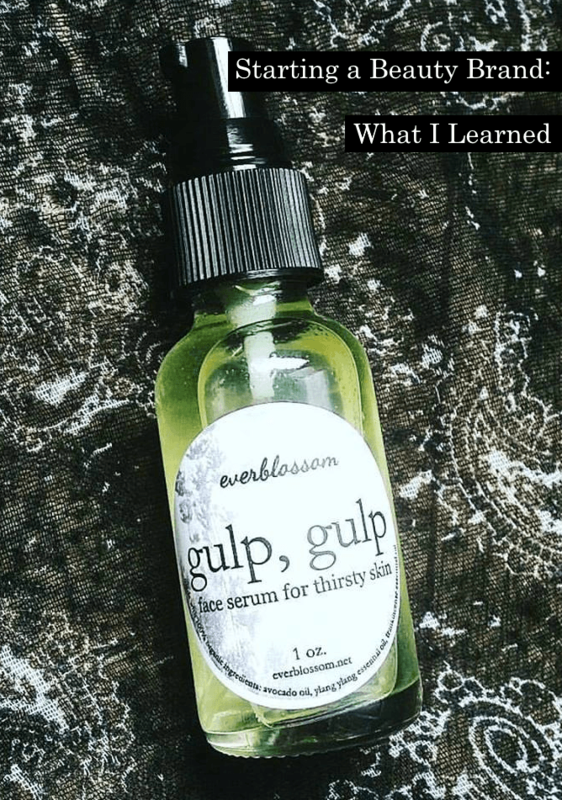 My essential oil addiction? Totally justified. I've always looooved having a wide variety of essential oils at my disposal, but it can get to be a pretty expensive habit. Now I don't feel like a hoarder by keeping a slew of them in stock, since I'm making things for my customers, too. Shout out to sharing! I'm also more brave about experimenting with new plants. That's all well + good, but there are also a couple of crazy-profound life lessons I've really internalized since opening up shop… they might surprise you! The extra mile is worth it. I'm human: Sometimes I take shortcuts. But with my business, I've tried to ignore that voice telling me to cut corners and follow through to go the extra mile. Whether it's with my website, or spending more for the better-quality ingredients, or doing what it takes to make a customer happy when something goes wrong, I really try to do my absolute best. And I've never been sorry – I've always been blessed by putting in the extra effort! Learning this lesson has started to influence my behavior in other areas of my life and it's been a major improvement in so many ways. Stay in your own lane. It can be soooo easy to compare yourself to others – especially in this industry! I used to worry so much about how my products compared to other handmade brands, but now I just appreciate that we live in a world where there truly is enough space for everyone who is passionate about having this type of business. We all have something to offer! I'm glad I came to this realization early, because I wouldn't have connected with some of my best friends if I'd remained in “comparison” mode. Looking back on the past year makes me feel so grateful… and even more excited about what the year ahead has in store! What life lessons has your work taught you? Want to start your own product line? Launch your line in 60 days with intensive biz coaching. The Indie Beauty Biz Community is a haven for beauty bloggers and entrepreneurs. Featuring the Launch Your Line digital course, expert interviews, business and marketing resources, skincare science and more – all to help you grow your beauty biz.